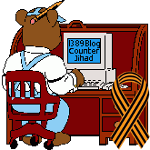 railroads and trains — 1389 Blog - Counterjihad! How vulnerable is America’s railroad infrastructure? My grandpa did this to find work. Maybe yours did too. How will you cope as the Great Recession deepens?